I must subconsciously wish I was left-handed. 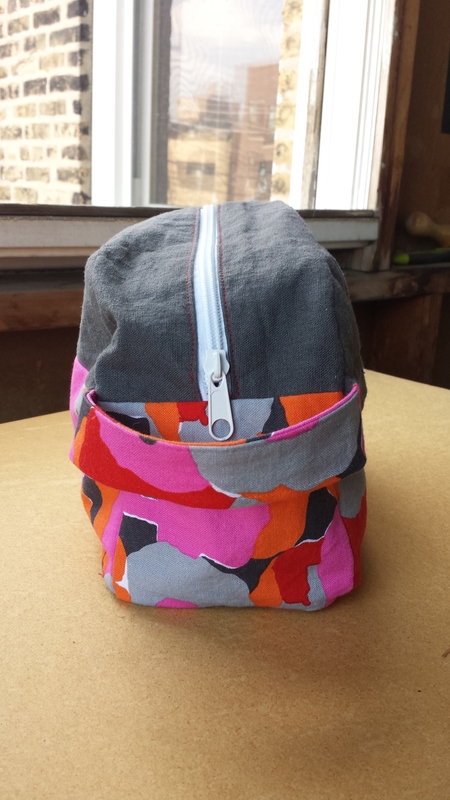 Of the many silly mistakes I made when crafting this dopp kit, I sewed on two zippers the “wrong” way. 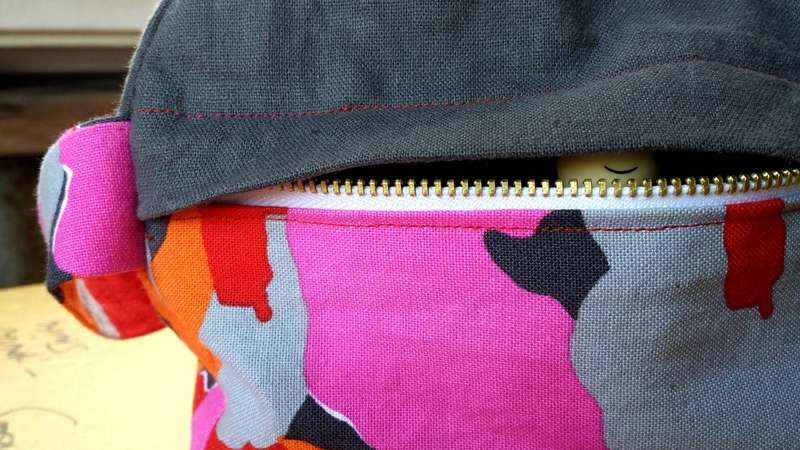 With the dopp kit, I cared enough to get my seam ripper out, but the pouch didn’t get such special treatment. That little guy will forever open the left-handed way, or the “right” way for 10% of the population and 71% of current and former presidents for the past 40 years. 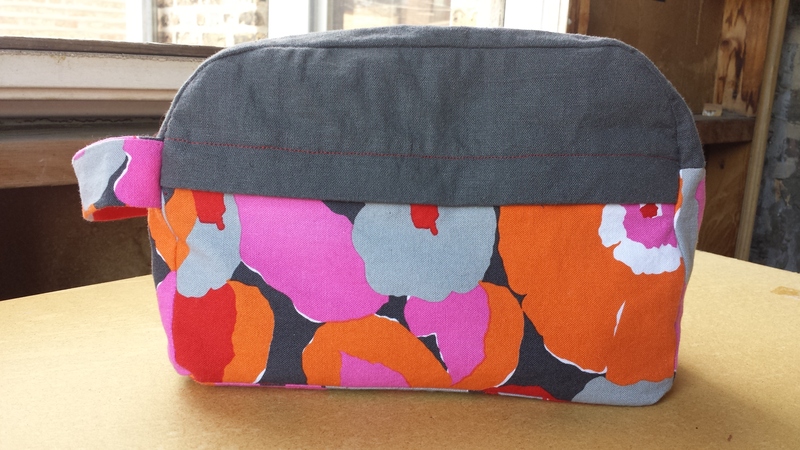 My right-handed self found sewing this dopp kit to be a little trickier than anticipated. 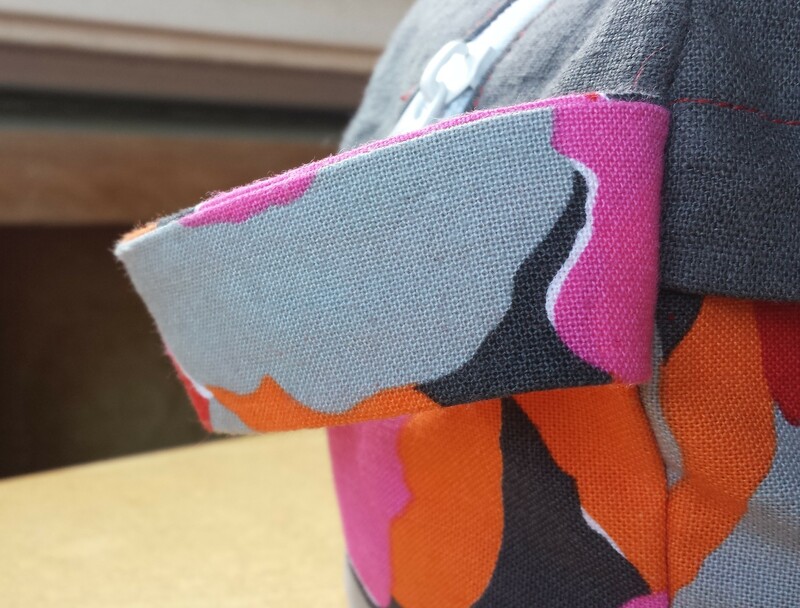 That might be due to my accessory-sewing rustiness; I haven’t sewn anything but apparel since I made an easy button wallet more than a year ago. Or maybe I was so excited to work on this Grainline pattern that I went at it a little too hastily. 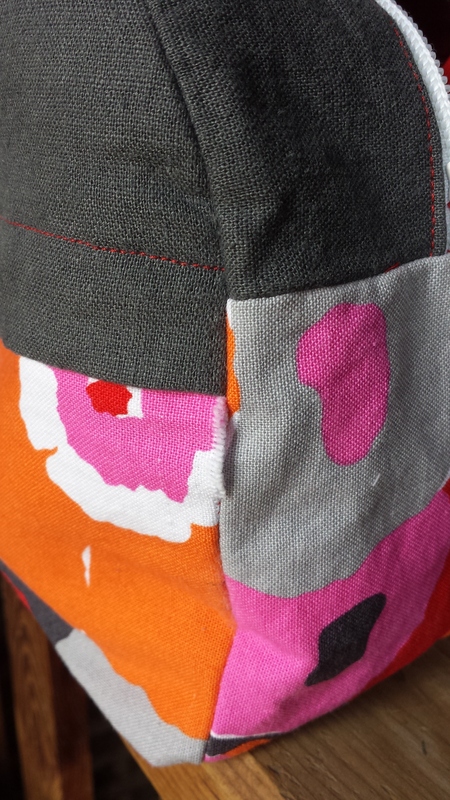 The truth is, this pattern took two days of prep before I even sat down at the sewing machine. 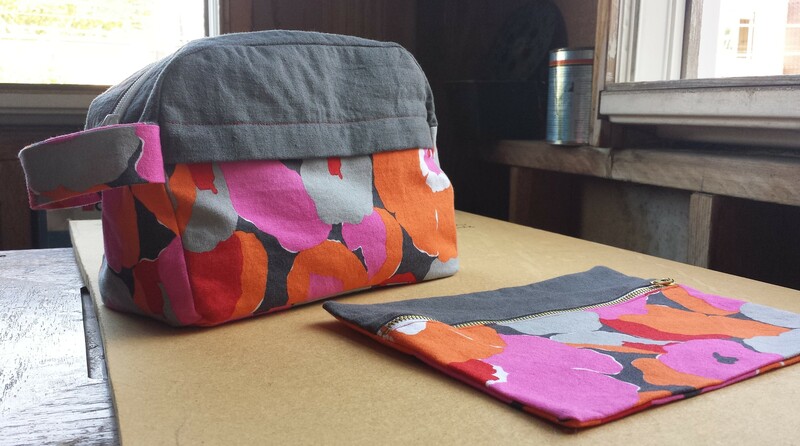 Because the Portside Travel Set includes three pieces (a duffel bag, dopp kit, and pouch), the PDF pattern pieces took awhile to tape together and cut. I reserved the next evening for cutting everything out and applying the fusible interfacing. And on the third night, she collapsed in a pile of the sewing-room (aka office/closet) floor, her hand hanging limp in an empty Mexican take-out container. That’s partially true. 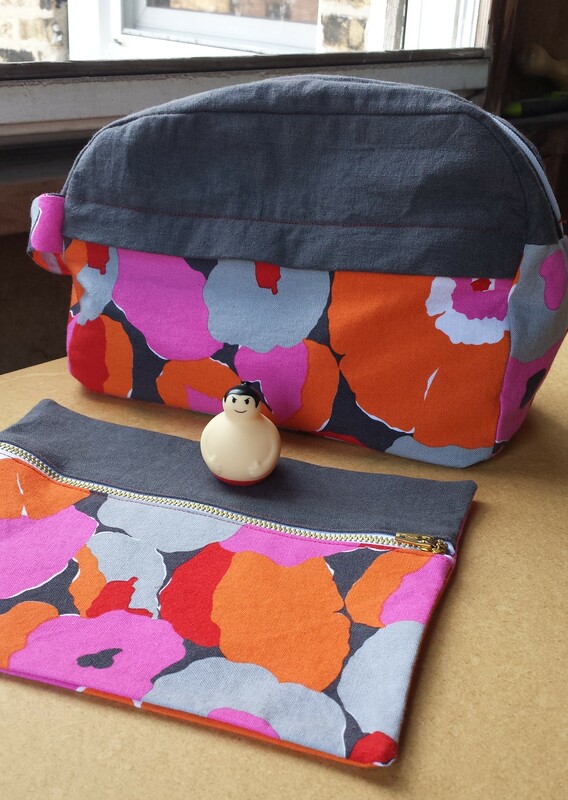 But really, on the third day I got to work whipping up the dopp kit. 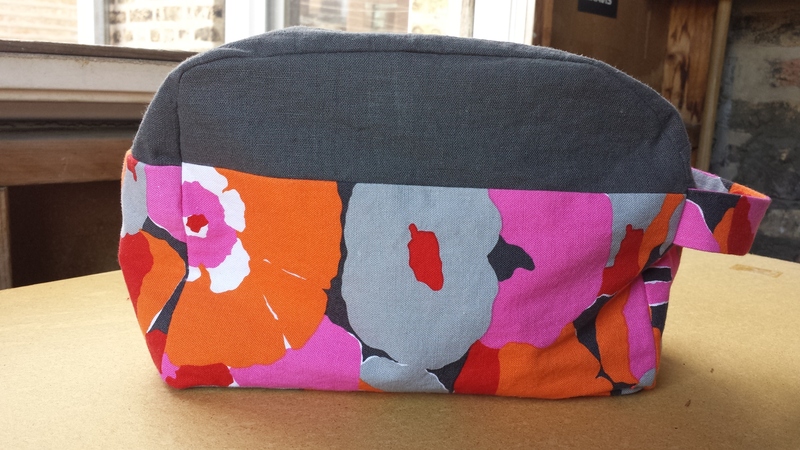 I love the Marimekko-like floral print, and it’s a decent enough weight for a bag. The gray contrasting fabric, however, is a little too lightweight for my liking, plus it wrinkles super easily. 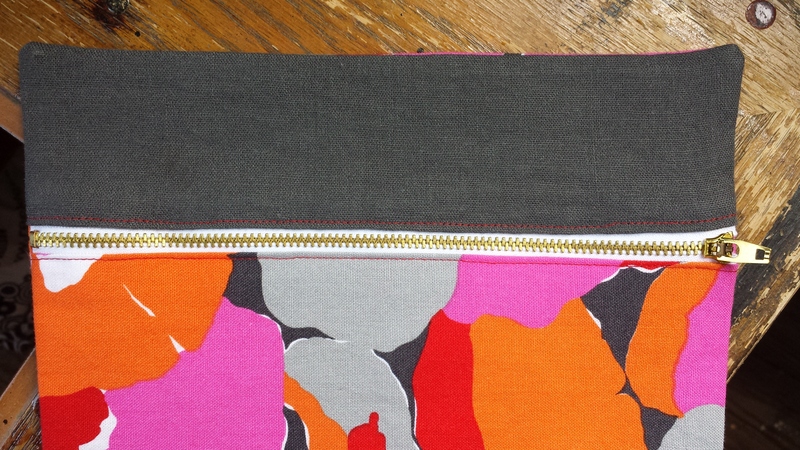 Next time I’ll use heavier duty fabric, or try interlining the bag with sew-in interfacing (like the pattern recommends if you’re looking for a heftier feel). 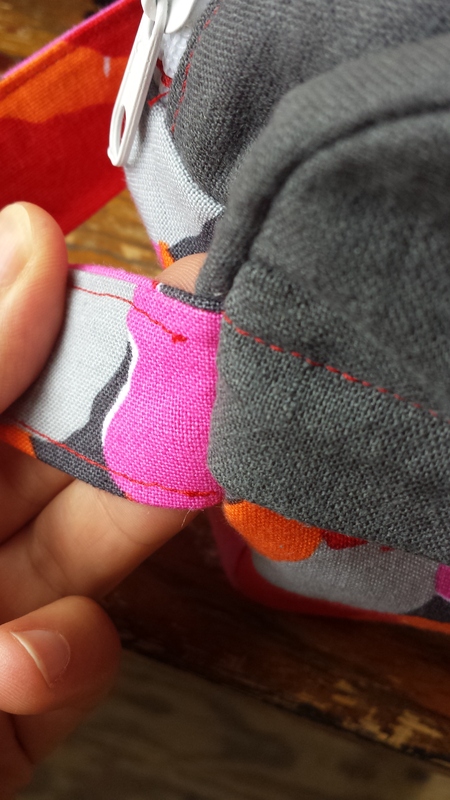 Transfer all of the pattern notches on the actual fabric. I somehow failed to do this for every piece, and when it came to sewing the rounded edges of the top and sides, it was a little hairy. I think that’s why my bag is slightly misshapen. Not a good feeling, especially when you’ve just finished hand-sewing the lining into place and have to rip out yet another set of stitches. Yeah… I immediately ripped those stitches out and now the strap is less structured than I’d like, but at least it’s not looking superjanky. And that’s the gist of it. My dopp kitt, though a little floppy, is already growing on me. Oh, and the pouch! Pretty straightforward zipper pouch, although it’s even floppier than my dopp kitt because it didn’t call for any interfacing or lining. It doesn’t really need it though, especially if you buy a heavier fabric and are planning on using it like me: to hold only crisp, new $2 bills. Just don’t forget to sew the zipper on the right way, y’alls! Toiletries… and a mysterious sumo wrestler. 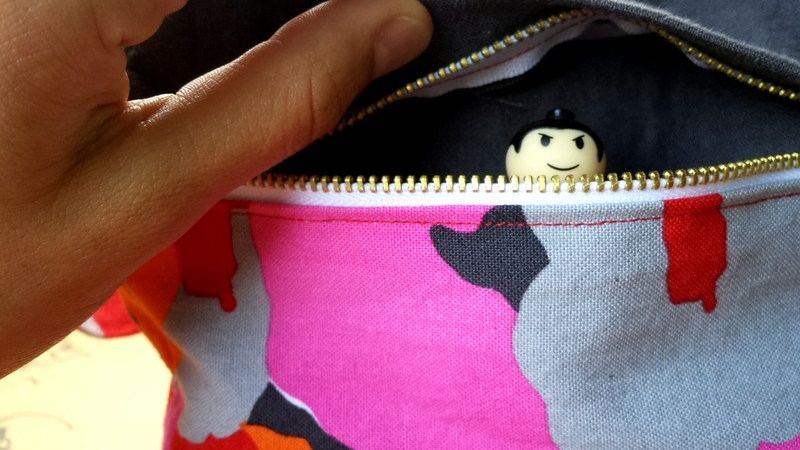 … but there’s something devious about those eyes! 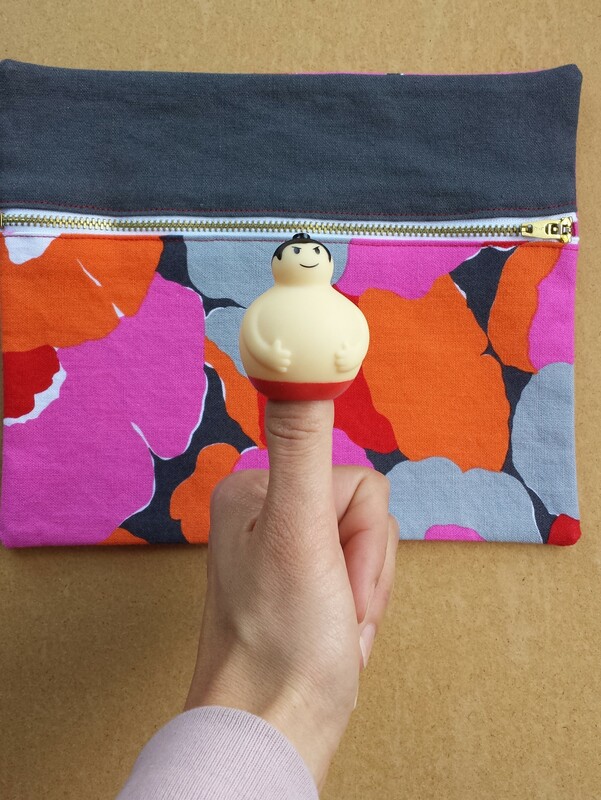 Thanks for modeling, thumb-wrestling sumo man. Now I know why you have a constant look of angered surprise on your face. Next up: the Portside duffel bag? As a right-hander I never thought about it like that, but it makes sense!